Kira has discovered that she’s not human, and that her biological parents are prisoners on Hildaland, a mysterious fog-bound island run by the hateful finfolk. Only thirteen, she’s not old enough to leave her sleepy seaside town to go on a solo underwater rescue mission. But being resourceful and determined she searches out old Babbling Bill to learn more about the mythical selkies. Do they really exist, and if so, would they be willing to help Kira find Hildaland? If she gets that far, can she evade capture by the finfolk? 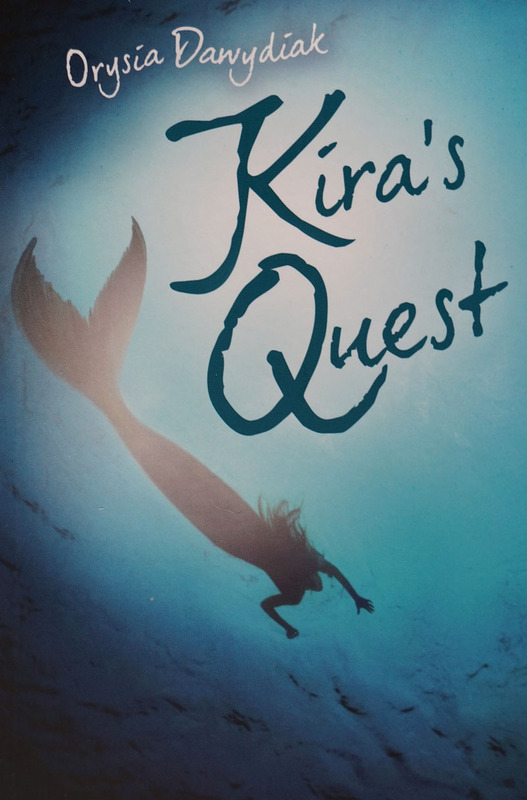 Once again Kira must face dangers with her quick mind and occasional help from her undersea friends. But will those be enough to save the prisoners of Hildaland? 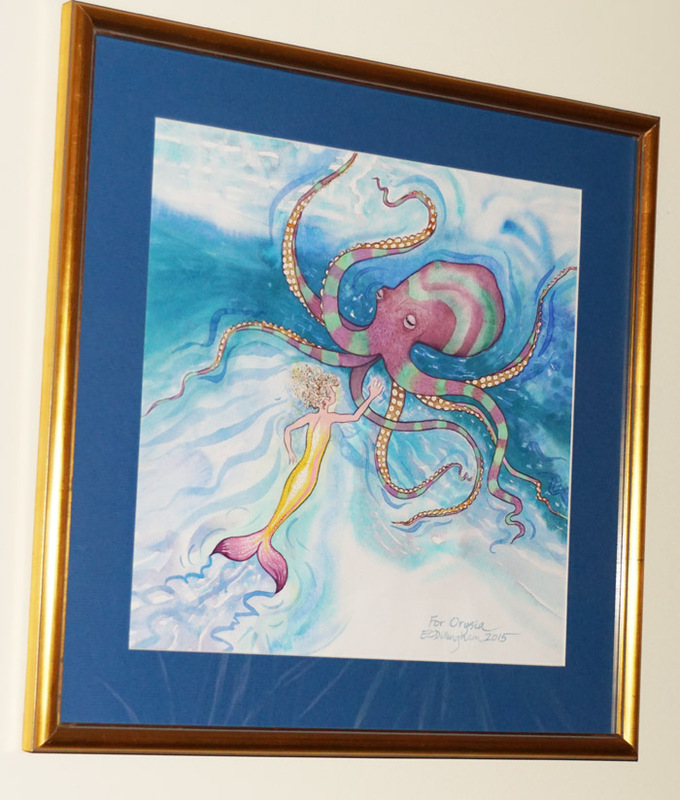 Here is a scene from the book, painted by Elaine Dillingham, which is now hanging on the wall of my solarium/seaworld. 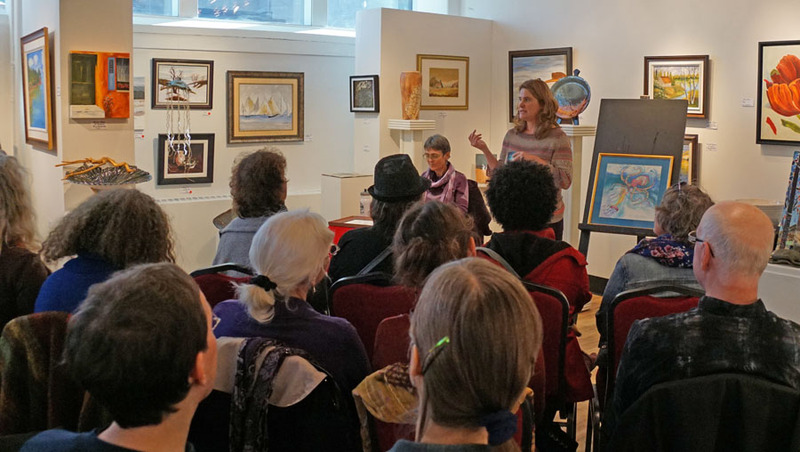 The book launch in the middle of an ongoing art show in the gallery at The Guild in Charlottetown was a mixed media event, especially when the tap dancing practice began above our heads on the main floor! A fine time was had by all (from what I could tell), especially since we had two special guests from the undersea world. 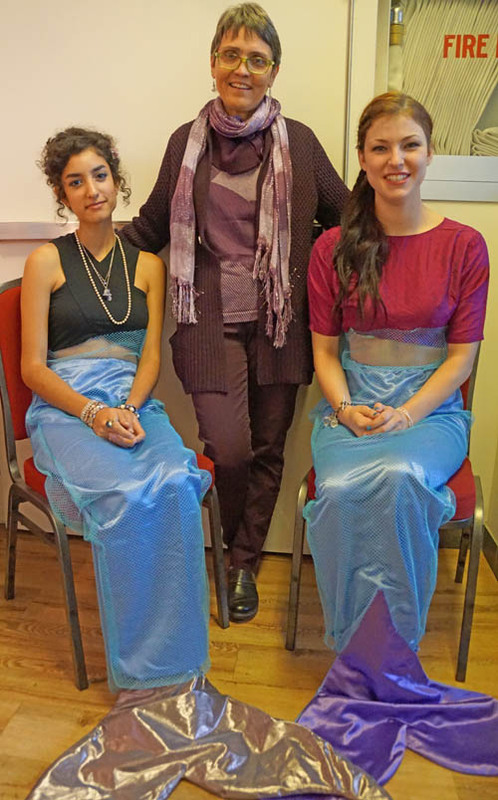 Uma and Shania graced us with their shimmering presence as you can see in the photos below.